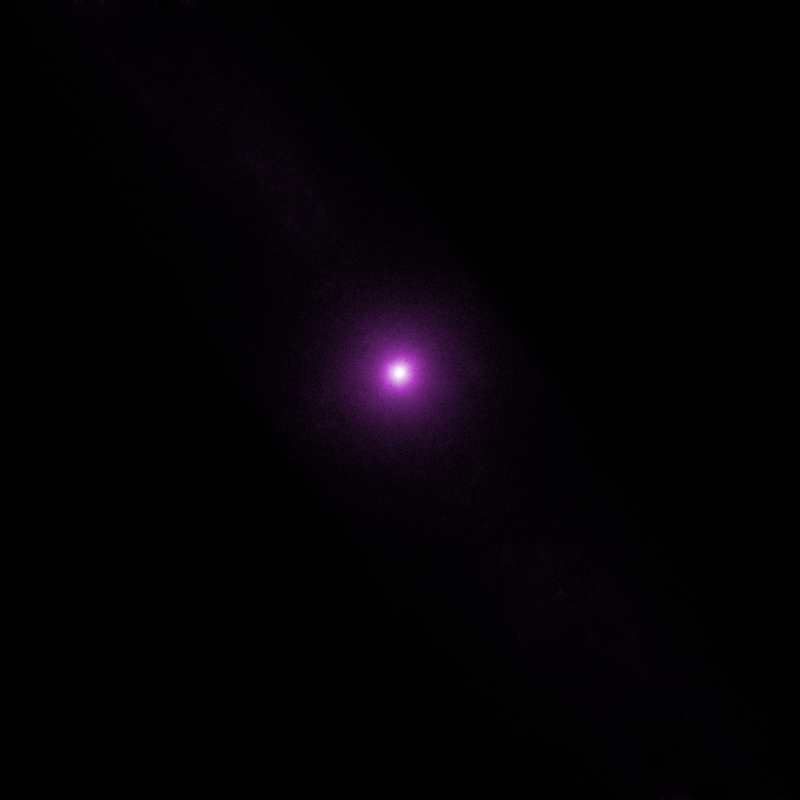 This optical and infrared image from the Digitized Sky Survey shows the crowded field around the micro-quasar GRS 1915+105 (GRS 1915 for short) located near the plane of our Galaxy. 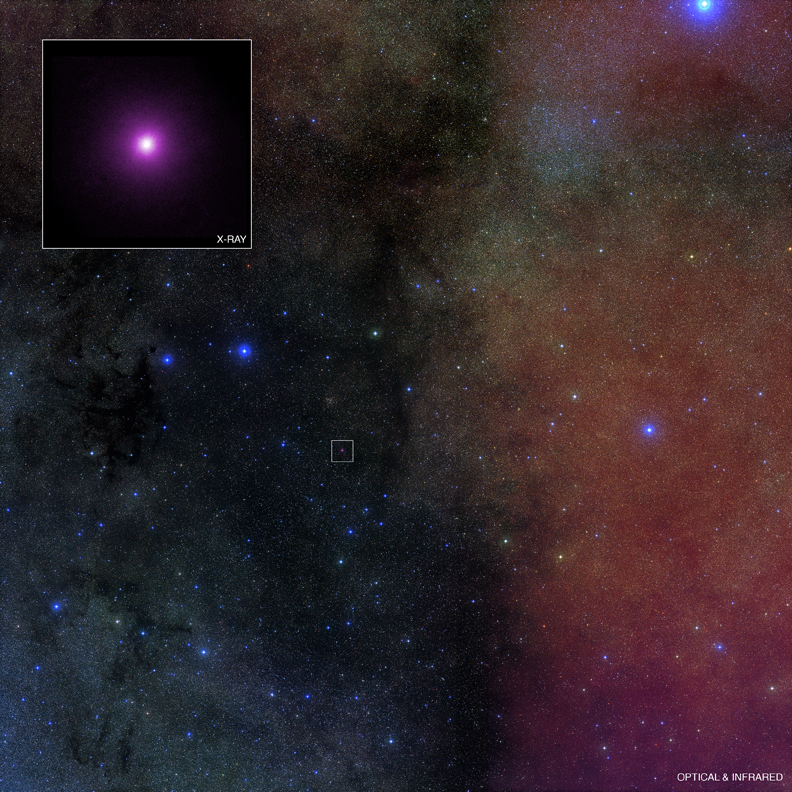 The inset shows a close-up of the Chandra image of GRS 1915, one of the brightest X-ray sources in the Milky Way galaxy. This micro-quasar contains a black hole about 14 times the mass of the Sun that is feeding off material from a nearby companion star. As the material swirls toward the black hole, an accretion disk forms. Powerful jets have also been observed in radio images of this system, along with remarkably unpredictable and complicated variability ranging from timescales of seconds to months. With its High Energy Transmission Grating, Chandra has observed GRS 1915 eleven times since its launch in 1999. 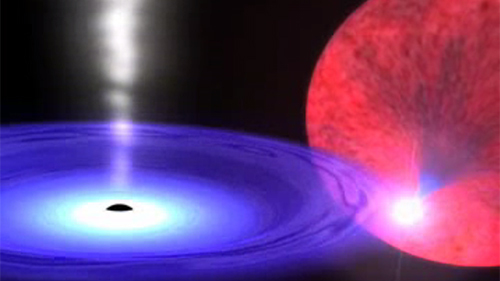 These studies reveal that the jet in GRS 1915 may be periodically choked off when a hot wind, seen in X-rays, is driven off the accretion disk around the black hole (view the animation below). The wind is believed to shut down the jet by depriving it of matter that would have otherwise fueled it. Conversely, once the wind dies down, the jet can re-emerge. These results suggest that these black holes have a mechanism for regulating the rate at which they grow. Self-regulation is a common topic when discussing supermassive black holes, but this is the first clear evidence for it in a system containing a stellar-mass black hole. Scale Full image is 5 degrees across (or 10 Moon diameters wide).